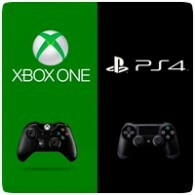 New figures from NPD have revealed that the PS4 has extended its lead over the Xbox One, “nearly doubling” it’s sales. Microsoft didn’t specify exactly how many units were sold, but the report reveals that 280,000 PS4 units were sold, while an estimated 145,000 Xbox One units were sold in January. “In the US, PS4 was #1 in sales for next-gen consoles in January, nearly doubling the nearest next-gen competitor. And PS4 remains the cumulative leader here based on today’s report from the NPD Group,” says Sony’s John Koller.